(Detroit, MI) After 20 years of performing and working with music, poet, author, and producer jessica Care moore will release her debut album, Black Tea: The Legend of Jessi James, October 2nd on Talib Kweli’s Javotti Media in partnership with her company, Words on Wax. 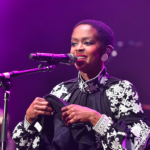 Black Tea is produced by jessica Care moore and pianist Jon Dixon and features the legendary Roy Ayers, jazz vocalist Jose James, fellow poet Ursula Rucker as well as hip-hop artists Talib Kweli and One Belo. Black Tea features 12 tracks and three bonus songs. The second single, “This is a Bus with Wings” was released last month with a video premiere on Ebony.com. Reflective of jessica’s multi-genre style, the album features a fusion of jazz, hip-hop, and poetry. Very rooted in jessica’s experiences in Detroit and New York, the album was recorded at Submerge, housed in Detroit’s techno museum. Previous to Black Tea jessica has been featured on Nas’ Nastrodamus album and more recently on Talib Kweli’s Attack the Block mixtape. She has long fused music, poetry, rock, jazz and theatre creating original works such as her experimental techno ballet, “Salt City: An Afrofuturistic Choreopoem” which premiered at Spelman College earlier this year. Born in Detroit, jessica Care moore first came to national prominence when she won the legendary televised, Showtime at the Apollo Amateur Night competition a record breaking five times in a row, with then host Steve Harvey. She has since performed around the world and worked with luminaries such as Sonia Sanchez, Patti Labelle, Nikki Giovanni, and Stephanie Mills. Her self owned publishing company Moore Black Press she has published books for Saul Williams, Ras Baraka, Danny Simmons, and asha bandele. Her multidisciplinary artist projects have been featured exhibits at the American Jazz Museum and the Charles H. Wright Museum. 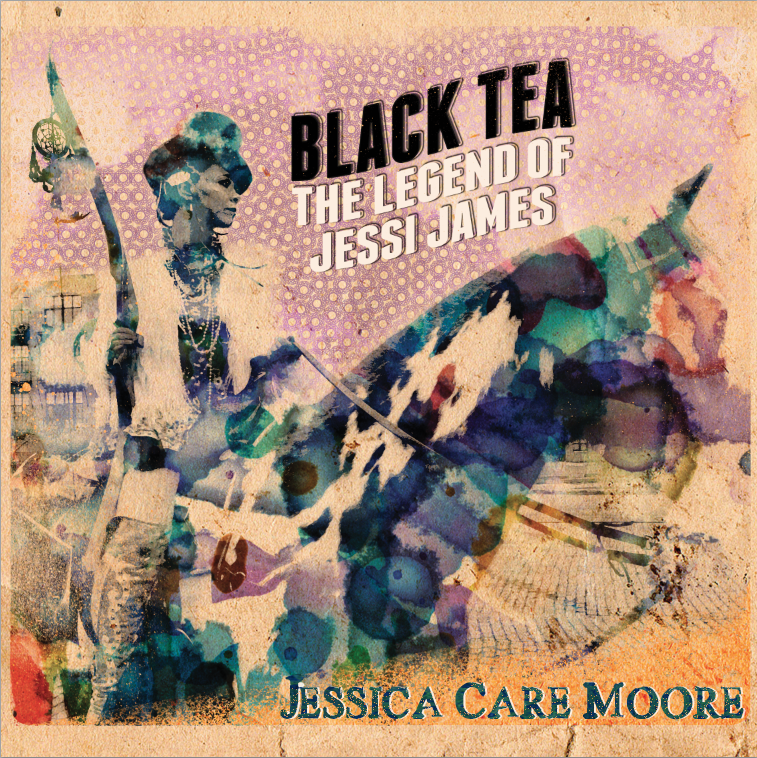 Black Tea: The Legend of Jessi James is currently available for pre-order on KweliClub.com. The album will officially release Friday, October 2nd across digital platforms. The first two singles, “You Want Poems” and “This is a Bus with Wings” are available on Soundcloud and Youtube.